Your goal in life depends upon your choice or preference. If you wish to be like someone you idolize, then so be it. If you want to gain a profession that is adored by most, you also can. But the thing is you need to properly set that particular goal in mind in order for you to attain it. Properly setting the goal you want to achieve will give you the chance to live a balanced life. In addition, the things you do in order to set and attain this goal will reflect who you really are. If you get to set them in the right track, then you can be close to achieving your holistic growth. Hence, it is important to use the best strategies that will guide you to accurately setting your goal. Life is full of extreme difficulties, but these difficulties are the ones that make life worth living. Each creature living in this world has their individual goals and aims, which they need to complete in order to make the most of every minute they spend in this world. However, not all individuals are sure of what goal they really have in life. Are they born just to live their life without having anything they want to attain? Or are they born to experience how boring life could be? A boring life is possible if you allow it. But, if you have something in mind that you want to attain, which is your goal, then you can say that living your life is never boring. Goals can never be truly called goals if they aren’t being acted upon, but if you just set it and you don’t do anything to achieve it, then that goal is unsound. On the other hand, properly setting your goal is highly important. This could be your first step to accomplish it. Knowing how to properly set your goal is associated with holistic growth. 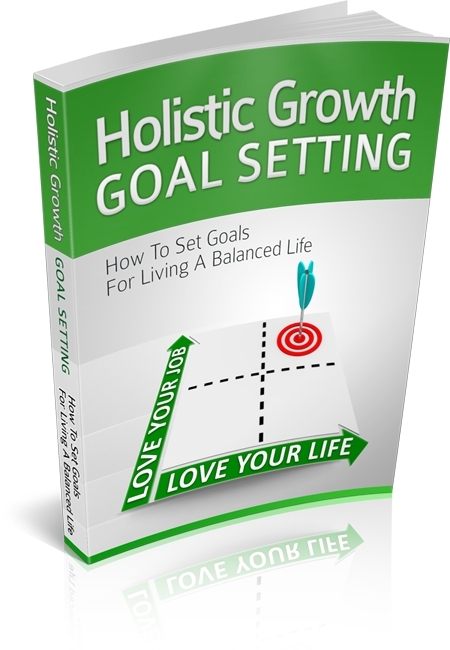 In this guide, you will learn more about the connection of holistic growth and goal setting. You can use them in order to have a better idea of how to set and attain your goal in the best way possible. This is the main key to achieving your goal and gain success.